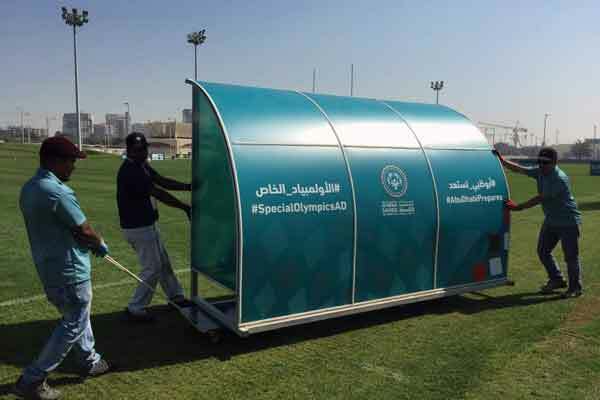 GAC Abu Dhabi, a leading shipping and logistics service provider, provided on-site logistics support to the Special Olympics Middle East and North Africa (Mena) 9th Regional Games, held recently in Abu Dhabi, UAE. GAC Abu Dhabi was appointed to ensure smooth running behind the scenes at the high profile event with support including specialised packing and crating, inventory management, receipt/dispatch from suppliers and stakeholders, local transportation and delivery, stock replenishment and coordination of dedicated on-site storage and warehousing operations, said the company in a statement. The entire project, from the pre-event planning to the on-ground execution and post-event arrangements, spanned three weeks, it said. “We are no stranger to the demands of and delivering top-notch services to the fast-moving event logistics sector, so despite facing tight deadlines and lack of storage facilities, our team handled the challenges adeptly and efficiently,” he stated. Youssef El Khouri, logistics and arrivals and departures manager, operations, for the Special Olympics World Games, Abu Dhabi 2019, lauded GAC Abu Dhabi for its tremendous support to the event.